Dice Dealer is an Australian casino & online pokies review websites offering fair and independent reviews to it's readers. 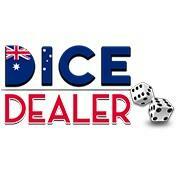 Dice Dealer is the number one review and comparison website for Australian online casino and online pokies players. The site offer impartial advice on which are the best casino and online pokies games to play at. The website also houses a news section to keep up with current events in the industry.